You can save thousands of dollars a year by following these tips, if you have not already. Our budget was the first place we looked when we set out to find savings. Take a look at your biggest dollar categories, usually your mortgage (if you have one) and utilities. You can save money on utilities and mortgage by following these simple steps. Interest rates are rising after years of being incredibly low, but they are still low enough to get a significant savings boost if you haven’t refinanced in several years. The amount you can save each month can be significant! PMI, or private mortgage insurance, is something banks may require you to pay if you have less than 80% equity in your home. This means if the value of your home is less than 80% of what you have paid, the banks require you to pay this fee. The removal of PMI can save you several hundreds of dollars per month, and it gets you closer to paying off your mortgage, which is a freedom in itself! We “cut the cable” years ago and we have not missed out. Whereas most people pay between $50 and $150 per month on cable utilities, you can save that money with these options. Consider streaming online TV, buying an antenna, using the build-in HD tuner in your TV, or subscribing to content online. For more explanation into these, check out How to Cut the Cable. Think of how much you can save by cutting cable, at least $1,000 per year or more! First decide if you really need a home phone. Many times the calls are from telemarketers, so decide if you want to be paying for that service! Seriously, though, you should weigh the considerations for having a home phone vs not having one. Read this list of home phone considerations to make that decision easier. It pays to check and make sure you are getting the best possible speed and level of service for what you are paying. Like other utilities, a better deal may be available and if you do not check at least annually, you might miss out on savings. You can save money on utilities by comparing natural gas rates. Variable rates could be double what you would pay with fixed rates, so it often pays (in a de-regulated environment) to shop your natural gas provider like you would any other service. For more help saving money with low natural gas rates, check out this article. Pay attention to the energy you are currently using, and look for ways to become more efficient. Professional and DIY Energy Audits are available. This not only helps you to identify energy guzzlers in your house, but also may introduce you to products that will help you save money. Products to consider are energy efficient light bulbs and weather stripping for windows and doors. To learn more about energy audits and how to sign up to receive one, check out Energy Savers. With these ways to save money on utilities, you can save hundreds of dollars per month, which adds up to thousands per year! Think about how you can better invest or save that money, and take the time today to look at your home and utility bills and options. We didn’t even go into low-flow shower heads, energy efficient appliances, tankless water heaters, spray foam insulation, or other ideas in this article; you can really save significant money on utilities by looking into the details of your home! 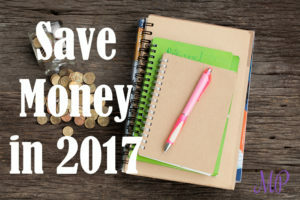 Let us know how these help you to save money and keep your priorities by commenting on Facebook or emailing at momspriority@gmail.com. Good luck!